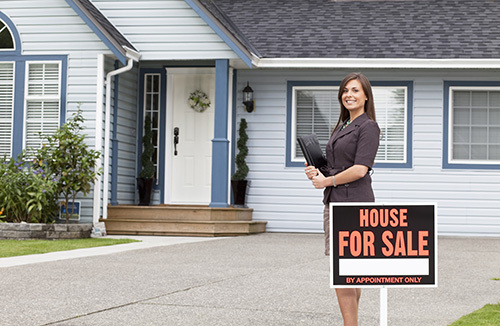 Are you a realtor or real estate agent showing properties alone? Or maybe you’re a sales professional who travels solo? Whatever your profession, if you find yourself on the move or meeting up with strangers in different locations, your safety could be at risk. Our FoneTrac app is an effective, affordable way to mitigate your personal safety concerns. We care about realtor safety! We know that life keeps everyone busy. However, your own realtor safety is an important priority because you’re constantly meeting new people all over town and can’t always have a trusted co-worker or friend around every time you have a house showing to do! Because of this, our FoneTrac app gives you a convenient, simple way to alert selected contacts of your current location. And, in case of an emergency, you can press a button and get 24 / 7 live support and assistance from our security team. Realtor safety: You won’t work alone any longer! What if you have a medical emergency while working alone? FoneTrac can help with your medical needs as well! Our app gives you the ability to get in touch with a medical security team prepared to handle a wide variety of emergency medical situations. If you’re a realtor in the big city and don’t like walking the streets at night alone, we can help you stay safe. Or, if you’re a realtor in a small town and travel distances alone to meet with potential home buyers, we can help. The FoneTrac app connects you with real people who have boots-on-the-ground security expertise. FoneTrac is not just an app: it’s continuous peace of mind for anyone who works alone.